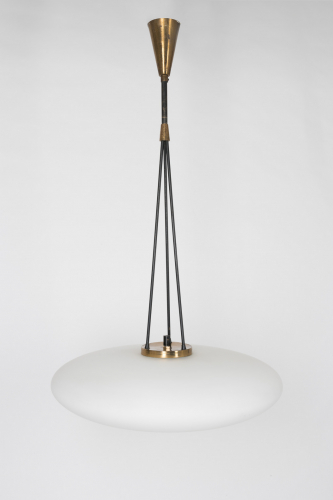 White satin shade supported by lacquered brass and metal. Manufactured by Stilnovo. one of the leading post-war Italian design houses.